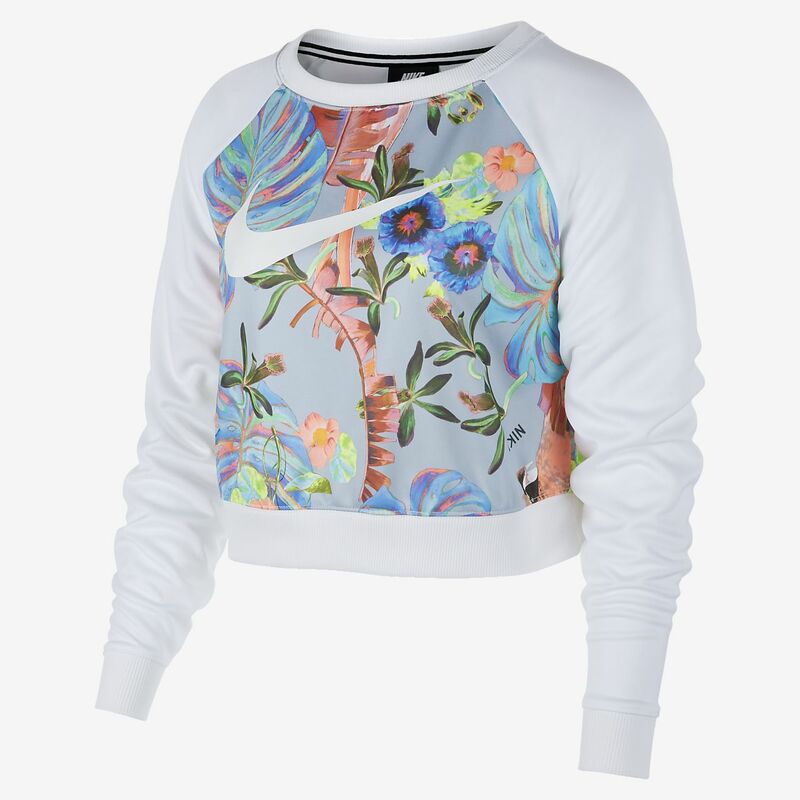 The Nike Sportswear Women's Print Crew is made with soft knit fabric in a cropped profile for cool, everyday comfort. The Nike Sportswear Women&apos;s Print Crew is made with soft knit fabric in a cropped profile for cool, everyday comfort. Knit fabric feels soft and comfortable. Cropped profile for breathable comfort. Durable ribbed neckline and cuffs hold the crew in place. bright, warm, cute and comfortable, now it's a favorite thing.